We're looking forward to introducing you to Kerry O'Donohue of Saugatuck Brewery. He's flying all the way over from Michigan, USA to meet some of our UK friends and craft beer lovers. Saugatuck Brewing Company are the creative geniuses behind Neapolitan Milk Stout, Backyard IPA, Oval Beach Blonde Ale & Third Bear Amber Ale. We've also managed to get our hands on some of the highly anticipated Blueberry Maple Stout which is in the UK for the first time but with limited stock. Kerry O'Donohue will be talking about beers and brewing from both a brewer and operators perspective; he is a mine of beer information and, as he is the current VP of the brewery, it means he is well versed in the economics of the brewery industry too. 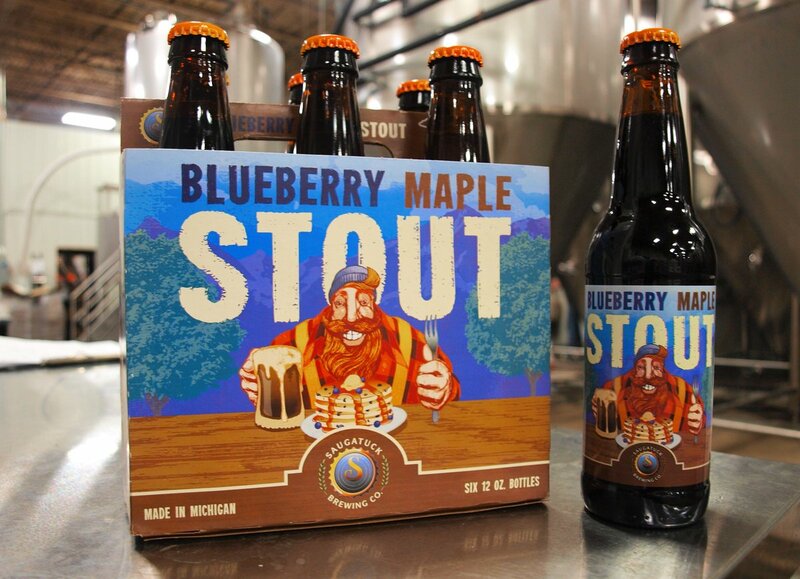 You'll get a chance to try some of the Saugatuck range and learn about the beers, the brewery process, craft beer industry and how they managed to create a delicious stout that tastes like blueberry pancakes and maple syrup?! You don't get more American than these flavours. Think blueberry pancakes smothered in maple syrup... in a glass. Just how Goldilocks liked her beer.... not too hoppy, not too sweet... just right. Get more done in life with this refreshing, hoppy, delightful session IPA. An easy drinking light ale, subtle, creamy and far more fun than lager. Join us on Thursday 10th Nov at 7.30pm in East Street Tap, Brighton.